Klip Gallery: TrendSpottr – How can we help you today? 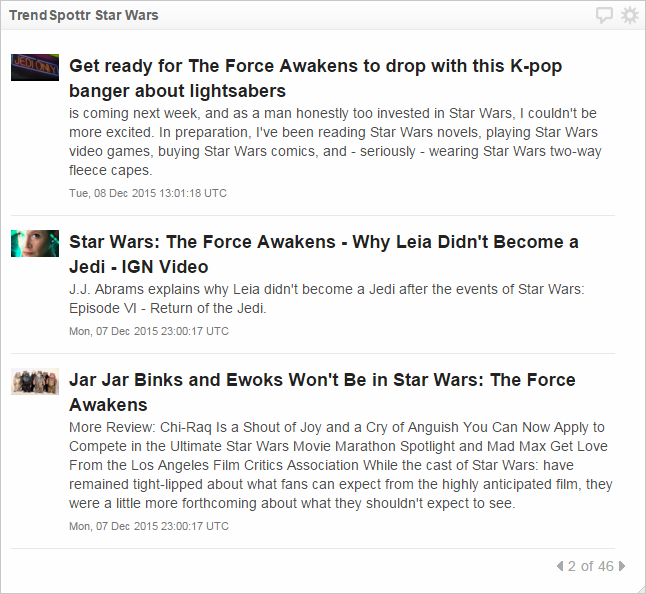 See what Star Wars topics are getting people talking. Bonus Klip! 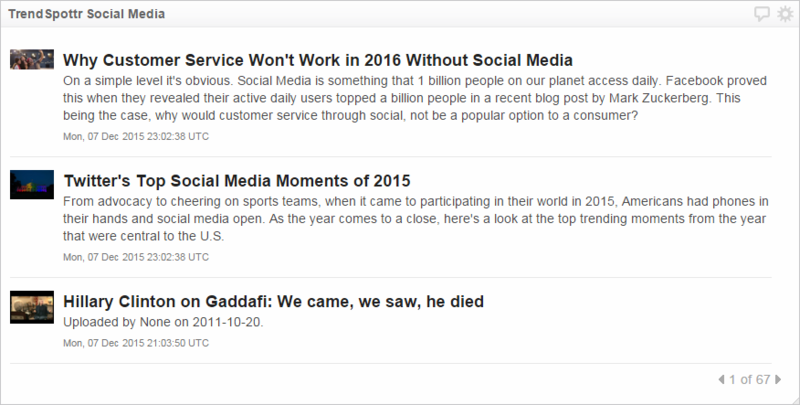 You do not need a TrendSpottr account to add this Klip. 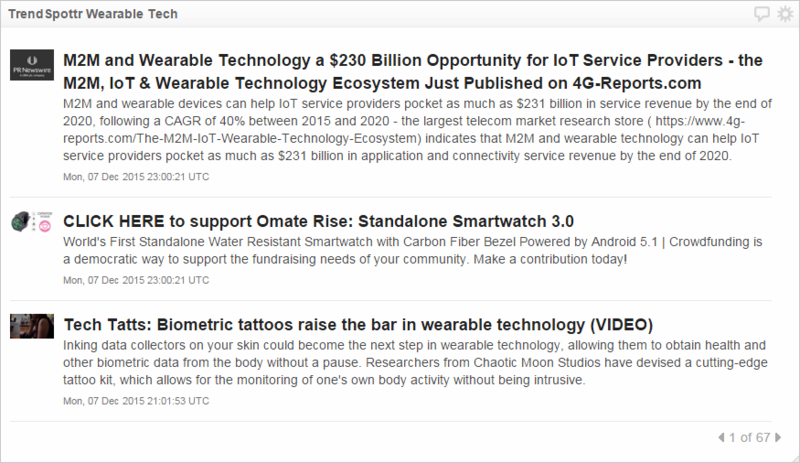 Monitor the latest discussions on Content Marketing, and always know what's trending.